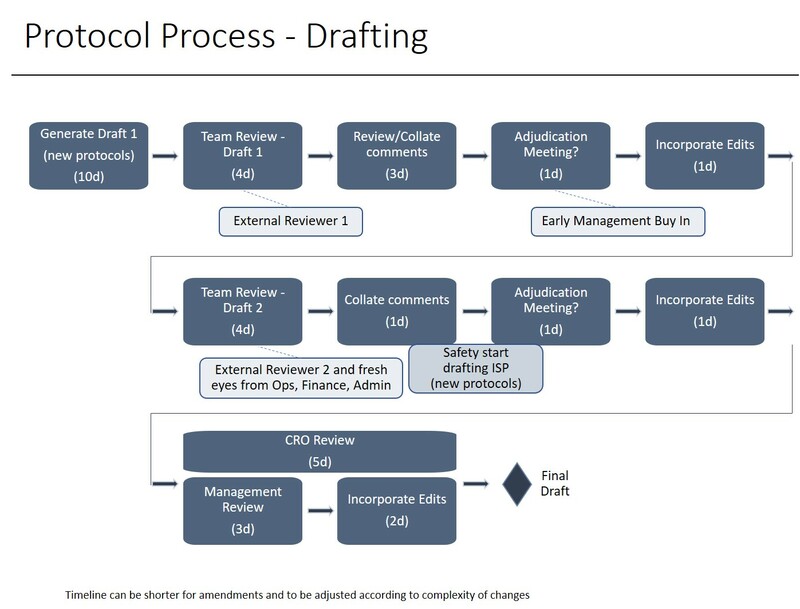 Sometimes you may have to discuss a process or sequence that has many steps. It is a good idea to show a process using a sequence diagram such as a shapes and arrow diagram. The challenge when you have many steps is fitting them all on the slide. Here is an example based on a slide in a recent customized workshop. The challenge here is that the sequence goes left to right, then returns to the left on the next line and again for a third line. This can make it difficult to follow for the audience and it also often causes the presenter to use a laser pointer to try to guide the audience to what part of the diagram they are speaking about. With so many steps, it is also easier for the audience to lose context as to where the presenter is in the overall sequence. One way to handle this situation is to use a technique I refer to as “group and tackle one at a time.” This technique starts by giving the audience a high level overview of the main parts of the process. This gives them context at a high level. Then, in subsequent slides, the presenter covers the details in only one main part at a time. The presenter can always come back to the overview slide if they feel the audience needs to be reminded of where they are in the overall process. For the above example, I created four slides as follows (just the key part of each slide is shown for brevity). 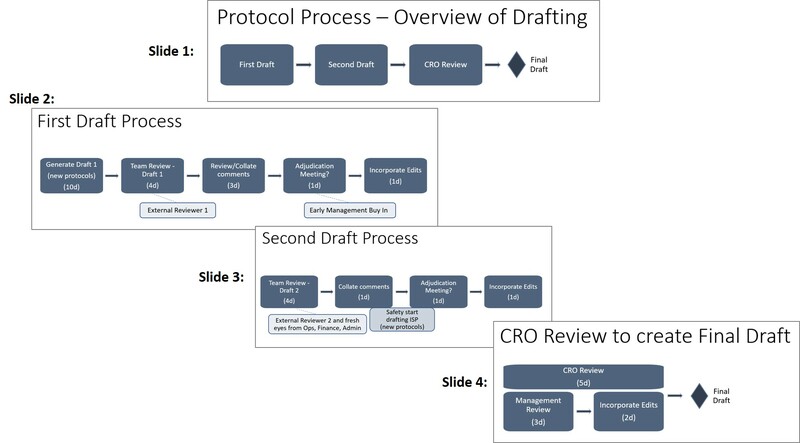 The first slide gave an overview of the entire process by breaking it up into logical steps of first draft, second draft, and CRO review. Each subsequent slide dealt with only one of those steps and provided the details for the audience. This does increase the number of slides you use, but it makes a process or sequence with many steps easier to follow for the audience. Try this technique the next time you have this situation in your presentation.